Why it matters: Democratic senators are already slamming Republicans for the secrecy of their bill writing process, and this isn't going to help. Republicans are sure to release the bill at some point, but it's unclear when — and they want to vote on it in the next three weeks, before the July 4 recess. What to watch: When the bill is finished, it'll be sent to the Congressional Budget Office. It'll take CBO about two weeks to evaluate and score a draft bill. Senate Republicans then want to vote on the bill before the July 4th recess. The draft bill had been expected to be finished tonight, but aides say the timing has slipped. 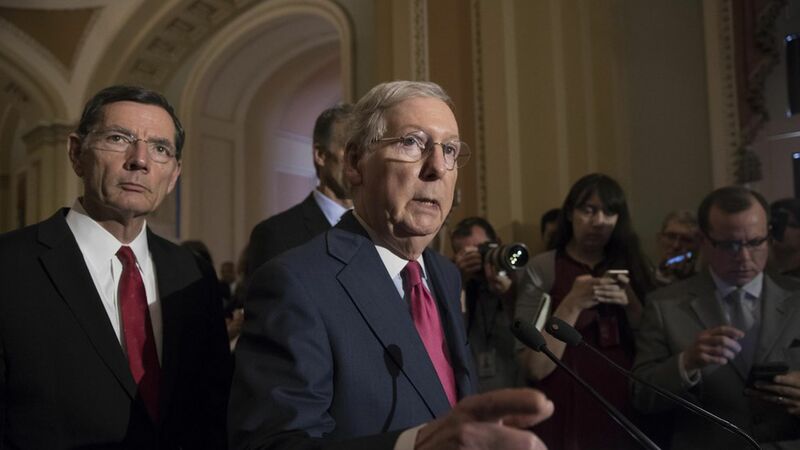 "Conversations with CBO continue" but there are no new announcements about timing, said Don Stewart, a spokesman for Majority Leader Mitch McConnell, when asked about these plans. This story has been updated to clarify that the bill is no longer likely to be finished tonight.